Demo of the histogram (hist) function with different ``histtype`` settings. * Histogram with step curve that has a color fill. 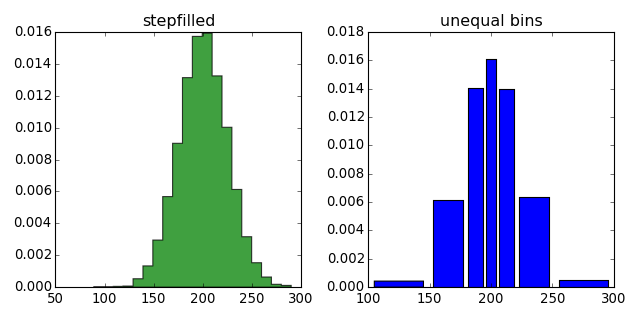 * Histogram with with unequal bin widths. # Create a histogram by providing the bin edges (unequally spaced).